The steadfast Taurus Moon holds the lid on reality today. We are able to concentrate on what’s happening because we choose to keep our lives as simple as we possibly can. 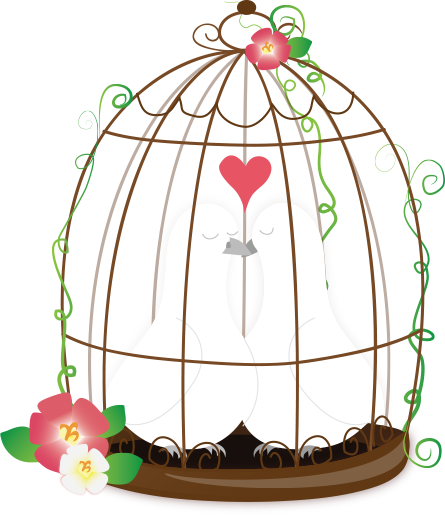 Luckily, the Moon conjuncts lovely Venus, strong in her home sign of Taurus now. Additionally, the Moon also joins energetic Mars, motivating us to keep pushing toward what we want. Finally, the Moon’s trine to hardworking Saturn indicates positive results from our extra efforts. Aries: Often you don’t know how to be patient, but today you have the power to wait. You know there is fun to be had, but you also know that leaving your responsibilities unfinished will bring swift consequences. Set a pace that doesn’t tire you out too quickly. Work steadily until you accomplish as much as you can, and then reward yourself by going out and having a guilt-free, wonderful time. 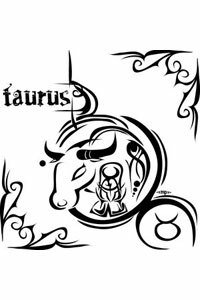 Taurus: You are the epitome of determination and it’s possible to accomplish whatever you set your mind to now. But it’s one thing to state your intention; it’s something else to follow through and do it. Your certainty is unflappable, but you may require help getting motivated today. Instead of trying to do it on your own, don’t be afraid to ask your associates to work alongside you until you gain momentum. Gemini: Your key planet Mercury is picking up strange messages from shadowy Pluto today and this can mess with your sense of reality. It seems as if everything makes perfect sense until something happens that reminds you how much there is beyond your understanding. But instead of wondering about the mysteries of the universe, refocus your attention on the tasks in front of you, for the simple act of completing a job will bring more satisfaction now than anything else. Cancer: Your thought process might be impressive now, but you could feel somewhat unsure of yourself as you remember a prior incident when your plan wasn’t quite good enough. You may be a bit wobbly as you try to regain your lost confidence. Don’t act tougher than you are; lean on your friends, for they can be the steady pillar that you so desperately need. Leo: There’s no need to doubt yourself today for your intuition is right on track. But it’s also not necessary to get into an argument with someone, trying to justify your point of view. It really doesn’t matter now whether or not others understand why you have chosen your current path. Just give it your best and they will eventually see the wisdom in what you do. Virgo: You may not set your goals very high today, but this is wise because it’s more important that you reach your destination than it is to exhaust yourself trying to go too far. Your greatest wisdom now comes from your common sense and that might mean working less and enjoying yourself more. Don’t worry if your productivity appears to be down; just remember that there is more going on than meets the eye. Libra: The pleasure principle is your greatest motivating force today, and this can set you up to be judged by someone who thinks you are lazy. Nevertheless, you are willing to work extra hard if there’s something in it for you. But this attitude may be so out of character that others see you as being selfish. Keep in mind that taking care of your own needs on occasion can replenish your vital energy and leave you with more to give to those you love. Scorpio: A close friend or partner may tell you exactly what you need to know today when he or she firmly reminds you that you turned a simple problem into an unsolvable dilemma. No one doubts that you must overcome an obstacle, but you might have lost your ability to keep things in perspective. This isn’t a smart time to get self-righteous and close down to the advice of others. Keep an open mind even if, at first, it doesn’t sound like what you want to hear. Sagittarius: This may be the day you’ve been waiting for if you have been thinking about making a change to your health regimen, diet or exercise program. It could be easier than usual for you to improve one small aspect of your overall routine, yet the tiniest incremental step could be just the thing you need to set larger changes into motion. Remember, don’t set yourself up for failure by taking on too much at once. For now, think small. Capricorn: Three planets in your 5th House of Fun and Games can distract you from firming up your plans for the next few months. It’s tricky; this can be a counter-intuitive day. If you feel good, you might get lazy and attempt to justify your lack of initiative. But this is not the best approach to take now, even if you are able to get by without much effort. The real work at hand is mapping out your future. Aquarius: Sometimes you look back on your life and think about all those things that went wrong and all the times you failed. But now the memories help you to remain grounded because you can remember positive aspects to your origins. This healthy nostalgia is therapeutic and can make you a happier person. Just don’t forget to return to the present moment once you’re done reminiscing. Pisces: If you have siblings, they may play an active role in your life today. If not, your closest friends could easily step in to give you the kind of support you need to feel secure. But don’t go overboard in your attempt to establish connections with those around you. If you try too hard, you could inadvertently create more distance between yourself and someone special.